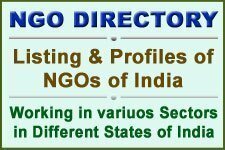 The Initial members of IDDC were agencies who were donor and implementing non-government organisations, including Disabled People’s Organisations based in Europe and North America and working in countries of the South. Agencies such as WHO and information exchange organisations attended occasionally as observers. From inception, the majority of agencies who attended the consortium meetings felt that IDDC should remain small and informal, but also efficient and effective. > A focus on disability and development work mostly through implementing programmes, but also through funding, disseminating information or advocacy. > Maintaining a balance of representation from different countries. > Ability to contribute the membership fee and to fund attendance at meetings. > Commitment to collaborate with other member agencies and to actively contribute in & range of ways. 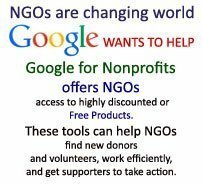 > Support to Disabled Peoples Organisations and Parents Associations. > Disabled Child Rights and self-advocacy. > Working towards elimination of preventable impairments. > Deaf education and sign language promotion. > Production of aids and equipment. > Developing alternatives to institutional care, and improving institutional care. > Care and Rehabilitation in Conflict, Refugee, Disaster and Emergency situations. > Landmine awareness, campaigning and work with survivors. > Inclusive development through integrating disability into mainstream programmes. > Advocacy on disability rights, disabled women’s rights, and disabled children’s rights. > Networking and promoting collaboration between north/south, disabled/non-disabled. 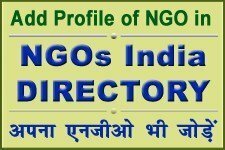 > Influencing the agenda of other donor and development agencies to include disability. > Training and awareness raising. > Production of resource materials. > Production of newsletters and dissemination of information. IDDC members work in over 100 countries globally. The table available below shows which countries the different organisations work in. It also shows that types of projects that are supported in these countries when this information is available. This table can be used by field staff and other organisations working in these countries, to contact IDDC members for collaboration and support. IDDC is an informal consortium of independent agencies, all with their different funding criteria. 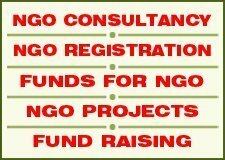 As a consortium, IDDC does not currently have a budget or the capacity to provide funding for projects. Therefore IDDC is unfortunately unable to consider any funding applications. However, we may be able to help by referring funding requests to our own individual member agencies related to their different areas of special focus; please contact the Administrator who will pass on your details appropriately. We may also be able to refer your request to other appropriate agencies. You can also find further information from the member agency’s web sites. More information about how member agencies fund disability and development work can be found on the Members page. IDDC itself has a small budget raised from modest membership fees. This pays for the services of a part time co-ordinator (4 days per month), plus a part time administrator (4 days per month). It also contributes to travel for members carrying out IDDC business such as attending conferences or meetings on behalf of IDDC.